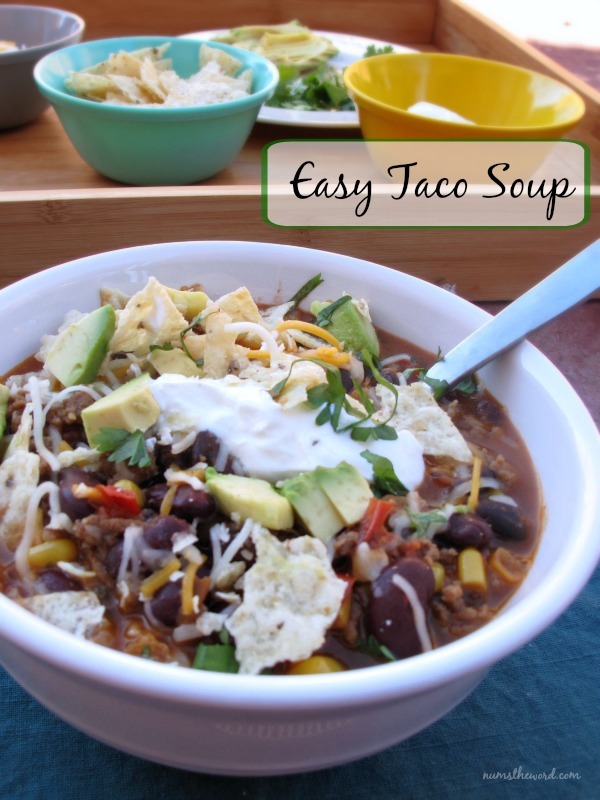 Easy Taco Soup. Like seriously easy. The idea for this soup came from several places. First of all, my friend Sarah was telling me last year about her recipe for 8 Can Taco Soup. It sounded delicious, but I just never tried it. Since hearing of it, of course, I have seen several recipes similar to it on Pinterest. Yet, I still did not try it. For some reason, throwing a bunch of cans together to make a soup didn’t really appeal to me. Then we went over to a friend’s house for dinner. They served us this soup (or something similar to it) and it was soo good! I’m pretty sure I had 3 helpings! 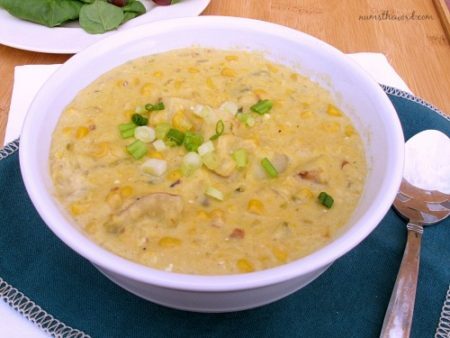 Now, what really makes this soup, besides the ranch seasoning that gives it a bit of creaminess, is the toppings! Don’t get me wrong, the soup is great! But top it with sour cream, tortilla chips, cilantro, avocados and more green chiles and it is just amazing! So I guess it could be called Really Easy Taco Soup That Is Made Incredible With Toppings. That’s why you should make it. Right now. 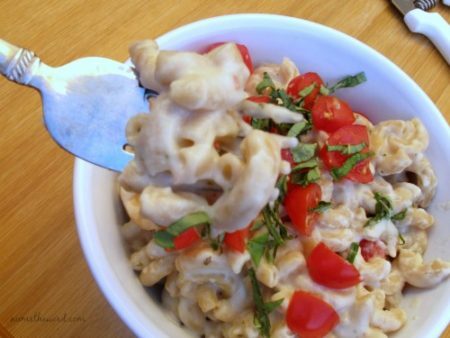 Simple ingredients and 30 minutes and you’ve got a fantastic dinner that everyone will enjoy! Brown ground beef in large stock pot. Add taco seasoning, corn, beans, water, tomatoes and ranch seasoning. Cook over medium heat, stirring to combine. Simmer for 20 minutes, or longer if you have it. Serve with fresh cilantro, more green chiles, cheese, sour cream, avocados, and crushed tortilla chips. 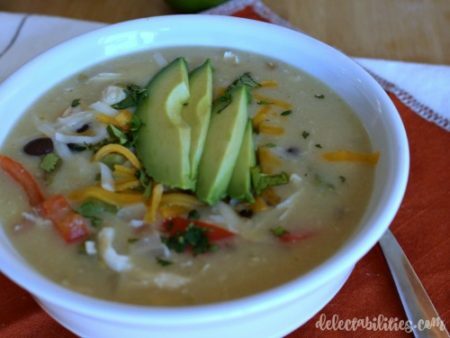 If you love Mexican flavors give this Chicken Fajita Soup a try! 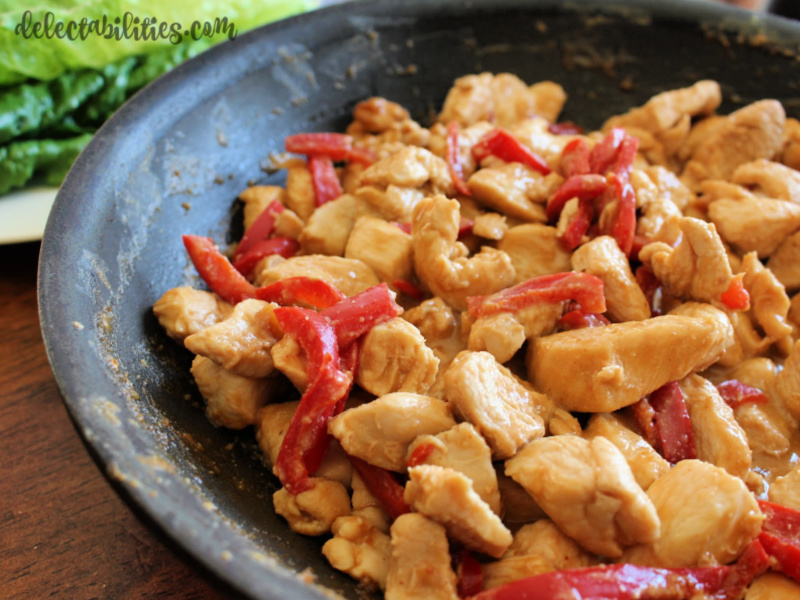 It’s ready in 40 minutes and a family favorite! Kid approved and easy to make!